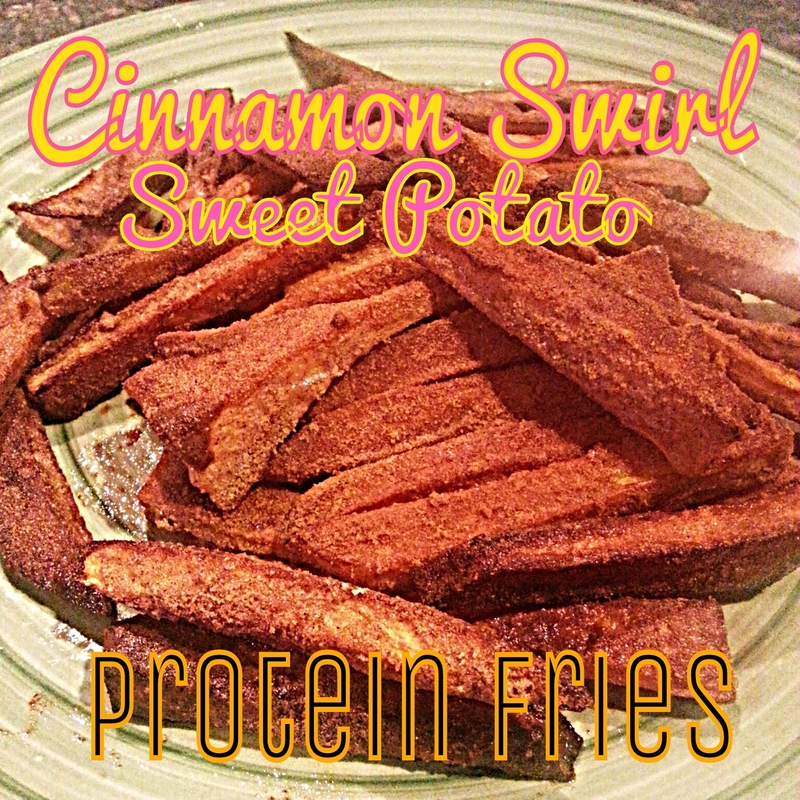 Sweet Potato fries that are packed with protein.... and Cinnamon! Wash and dry your sweet potato. Peel if preferred. Slice into fries -- make sure they are all about the same width so they all cook the same. Combine olive oil and Cinnamon Swirl protein in a bowl. Coat all your fries and place on a baking sheet with space between each fry. Sprinkle with cinnamon. Bake for 15-20 minutes on 400-425 depending on how thick your fries are. Check every 5 minutes or so. You may want to flip them 1/2 or 3/4 the way through.